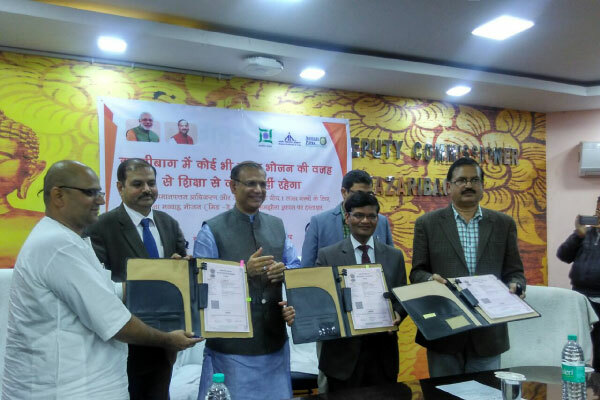 On December 13, 2017, Akshaya Patra signed an MoU with Airports Authority of India (AAI), in the presence of Shri Jayant Sinha, Minister of State for Civil Aviation, in Hazaribag, Jharkhand. The kitchen in Hazaribag has the capacity of feeding 1 lakh children with a nutritious school lunch. The aim is to encourage children and empower them to achieve their dreams.